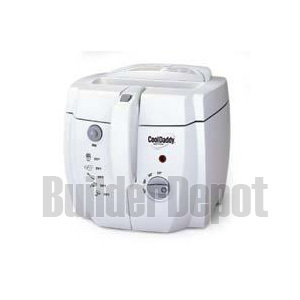 Dual Element Immersion Element Deep Fryer is a orofessional-style deep fryer with dual baskets. Fries two foods at once or extra large batches. Big 12-cup food capacity. Oblong-shaped baskets are ideal for frying large pieces of fish or chicken. 1800-watt immersion element provides quick preheating and fast oil temperature recovery. This item cannot be shipped to APO/FPO addresses. Please accept our apologies. 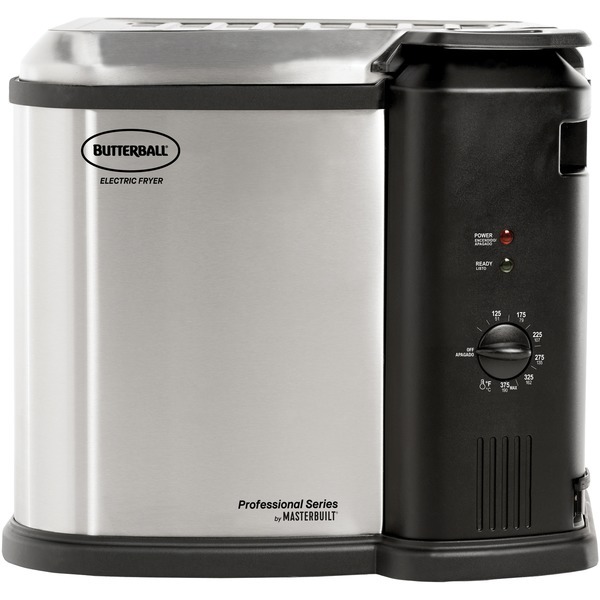 Professional-style deep fryer in a convenient at-home size. 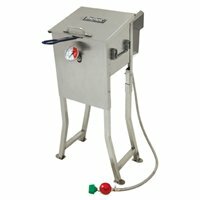 1800-watt immersion element provides quick preheating and fast oil temperature recovery. Big 8-cup food capacity. 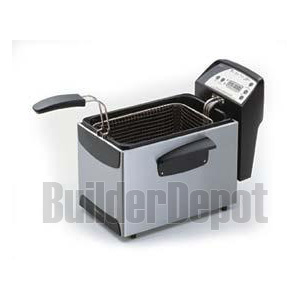 Oblong-shaped basket is ideal for frying large pieces of chicken or fish. Select from a variety of frying temperatures with the adjustable thermostat. Signal light indicates when the oil is ready for frying. Cover with filter serves as a spatter shield when lowering food into hot oil. Steams and boils too! 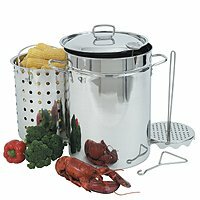 Versatile basket is great for steaming vegetables and seafood. Both the heating element and enameled pot are removable for easy cleaning. This item cannot be shipped to APO/FPO addresses. Please accept our apologies. 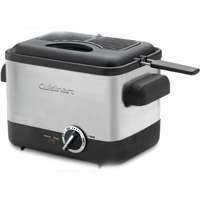 COOKPRO 523 6Qt stovetop deep fryer allows you to deep fry your favorite dishes and snacks! Constructed in stainless steel with encapsulated base enhance faster & even heat distribution. Stay cool handles & knob. 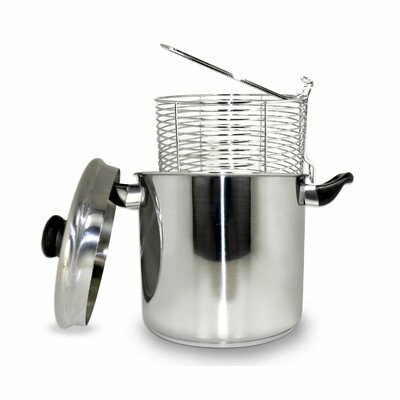 Set includes wire frying basket, approximately 4Qt capacity. 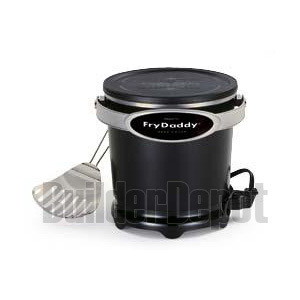 Cool Daddy Deep Fryer with black finish makes delicious deep fried foods fast and easy. Perfect for chicken shrimp French fries and more. Exterior handle lowers food into the oil with the cover closed to prevent spattering. 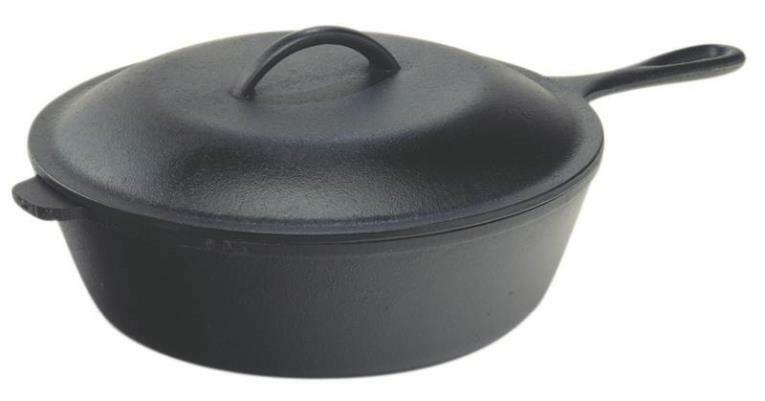 Removable pot with nonstick cooking surface assures quick and easy cleanups. 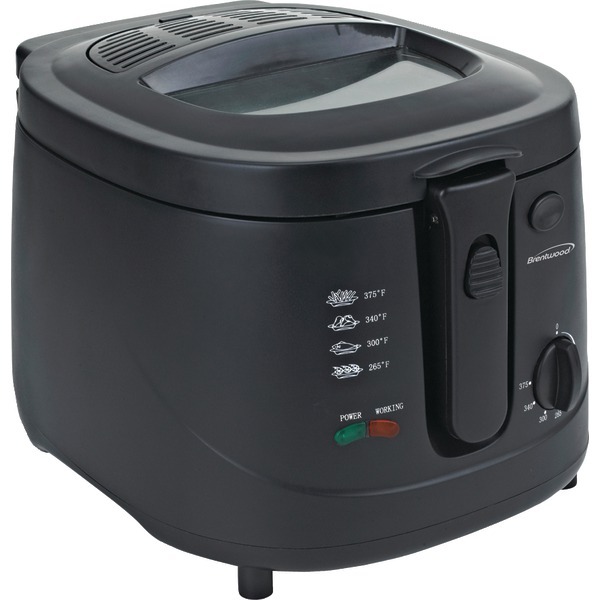 Big six-serving capacity in a compact-size deep fryer. Adjustable thermostat permits easy selection of the desired frying temperature. Locking cover prevents spattering and reduces odor. Removable air filter absorbs odors. Handy indicator light lets you know when the oil is ready for frying. Extra large viewing window lets you supervise frying without opening the cover. This item cannot be shipped to APO/FPO addresses. Please accept our apologies. 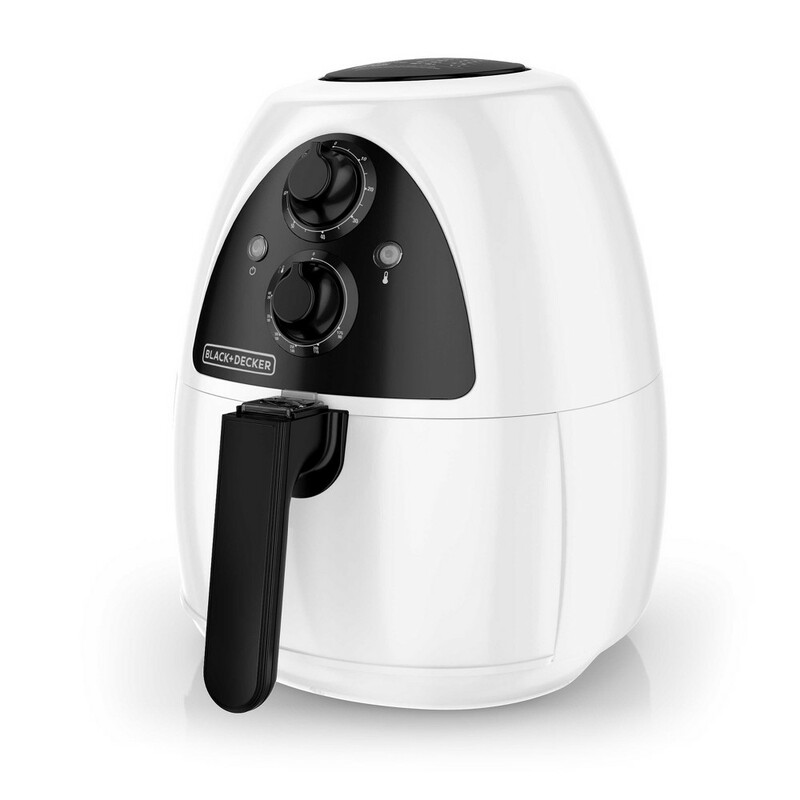 The Black & Decker PuriFry Air Fryer cuts out the oil to give you crispy food without the added fat. A pair of powerful convection fans surrounds food with heated air to cook all of your favorite fried delights quickly and evenly. The frying basket can hold 2 liters (about 8 cups) of food making it easy to fry up snacks or a main dish for the whole family. The PuriFry is the revolutionary way to enjoy deliciously crispy fried food with the entire flavor and none of the guilt. Dual Convection Fans 60-Minute Timer Variable Temperature Control Indicator Lights 2L Capacity Cool-Touch Handle Basket Separator Little to No Oil Needed Nonstick Parts. This item cannot be shipped to APO/FPO addresses. Please accept our apologies. 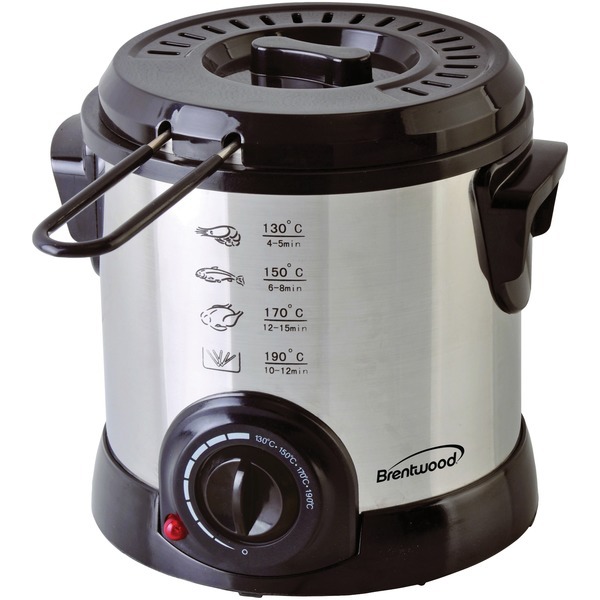 Use the powerful 1000w Brentwood DF-701 Electric Deep Fryer to produce all your favorite fried foods. A 1-liter capacity is the perfect size for 1-2 people. Features adjustable temperature (265-375 F ) quick start temperature guide splash proof cover and easy to clean non-stick surface. Includes a fry basket and magnetic power cord for safety. Brushed stainless steel finish accents any kitchen countertop. This item cannot be shipped to APO/FPO addresses. Please accept our apologies. The Chard 6.0 Liter Dual Deep Fryer has dual tanks to keep your flavors separated. 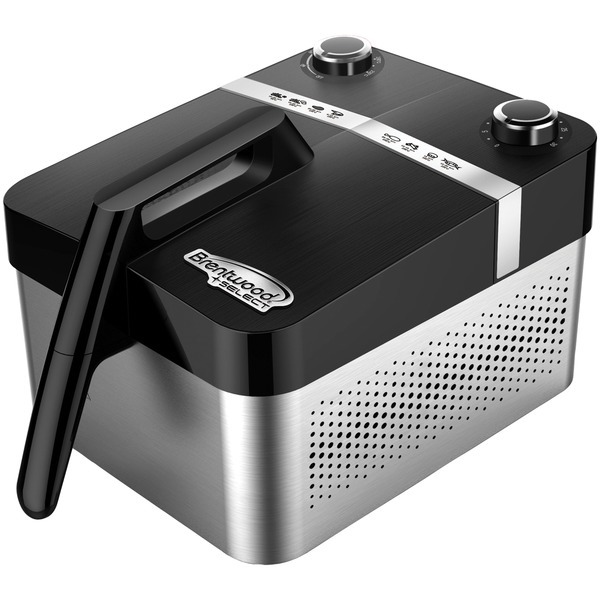 Dual elements provide excellent recovery time and allow you to cook at different temperatures. Stainless steel body wipes clean. Enamel tank cleans up easy. Fold in handle stores convienently. This item cannot be shipped to APO/FPO addresses. Please accept our apologies. 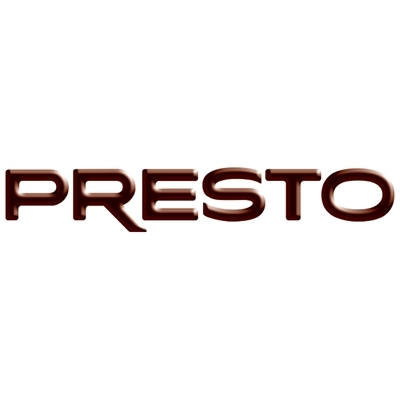 Presto Stainless Steel Electric Deep Fryer with Brushed stainless steel exterior; Anodized aluminum interior for fast even heating; Space-saving 1-liter size; Adjustable thermostat for easy selection of the desired frying temperature; Handy indicator light lets you know when the fryer is plugged in; Vented cool-touch cover with built-in spatter screen; Fries with the cover closed to reduce odor and spattering; Measures approximately 8-1/2 by 8-1/5 by 8 inches; 1000 watts 120 Volts AC. This item cannot be shipped to APO/FPO addresses. Please accept our apologies. 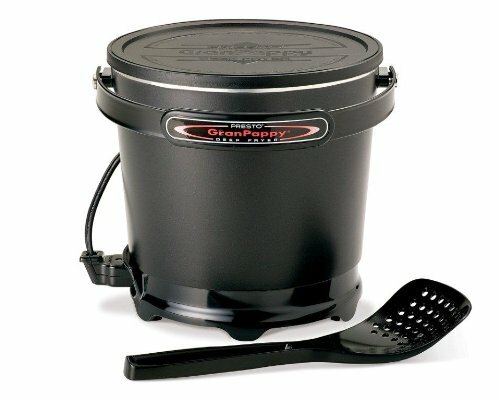 Grand Pappy Deep Fryer makes delicious deep fried foods fast and easy! Ideal for a family. Makes four big servings with just six cups of oil. Maintains perfect frying temperature automatically. Handy scoop lifts drains and serves. Nonstick surface inside and out for easy cleaning. Snap-on lid lets you store oil to use again and again. This item cannot be shipped to APO/FPO addresses. Please accept our apologies. 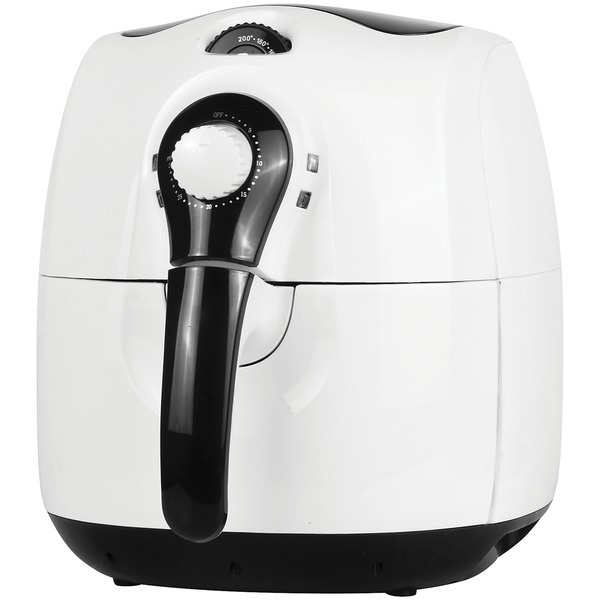 Black & Decker Purify Air Fryer with Dual Fan Convection Technology combines heat with a powerful dual fan air circulation system for fast and crispy results. Make everything from main dishes to snacks with little or no oil. 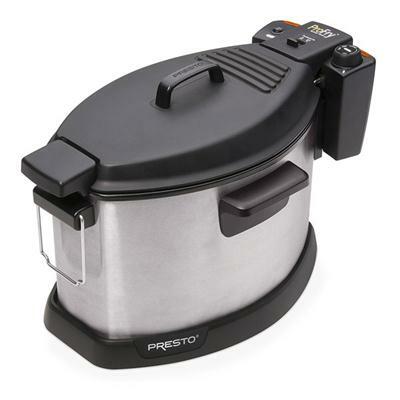 2 Liter Capacity makes enough for the whole family; Little or no oil needed for crispy fried taste; Nonstick pan basket and separator for easy clean-up; Variable temperature control allows for cooking versatility; 60-minute timer with Auto Off; Heating and Power indicator lights. White & Black plastic and stainless steel finish. This item cannot be shipped to APO/FPO addresses. Please accept our apologies. 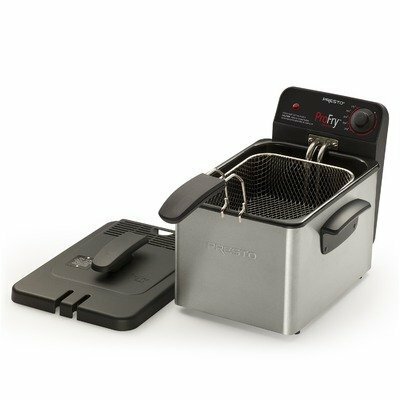 Digital ProFry Immersion Element Deep Fryer is a professional-style deep fryer that features a 9-cup oblong-shaped basket. The 1800-watt immersion element provides quick preheating and fast oil temperature recovery. Digital control and display features an adjustable thermostat and countdown timer. Cover with filter helps to reduce spattering. Heating element and enameled pot are removable for easy cleaning. This item cannot be shipped to APO/FPO addresses. Please accept our apologies. 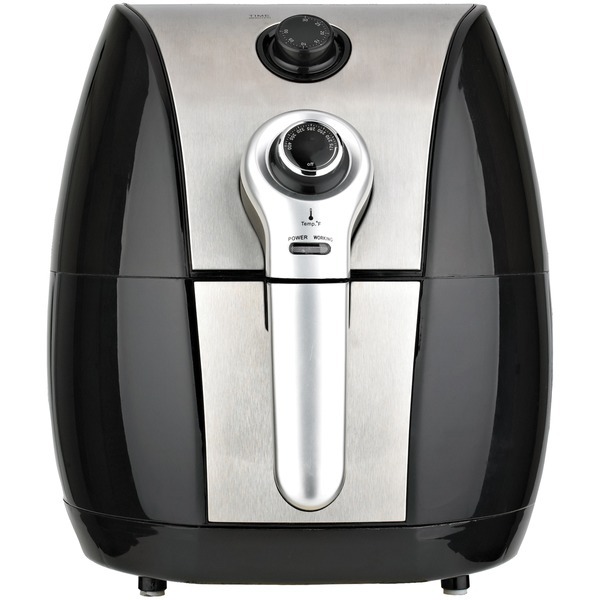 Whatever you can deep fry you can Air Fry with Brentwood's Select 3.2QT Air Fryer. 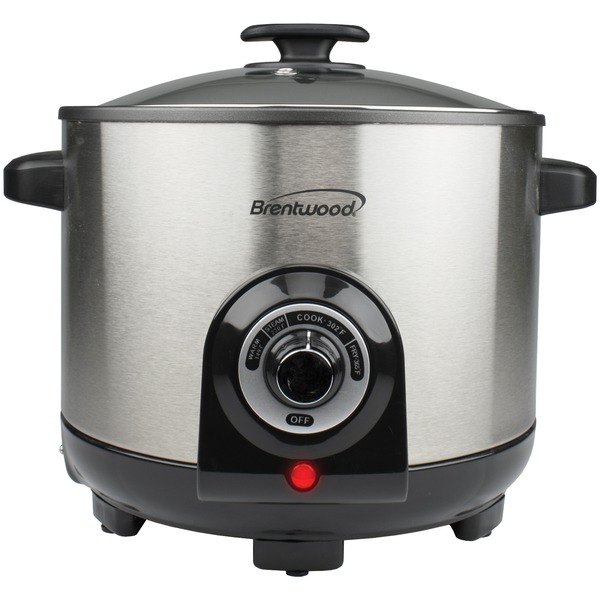 The Brentwood Air Fryer is a safer and multi-functional unit with traditional fryer functions includinging adjustable temperature control from 175 F-400 F and an Auto Shut-Off 30 minute timer. It can air fry French fries onion rings and chicken nuggets plus can also bake small cakes cook small chickens and meat roasts! 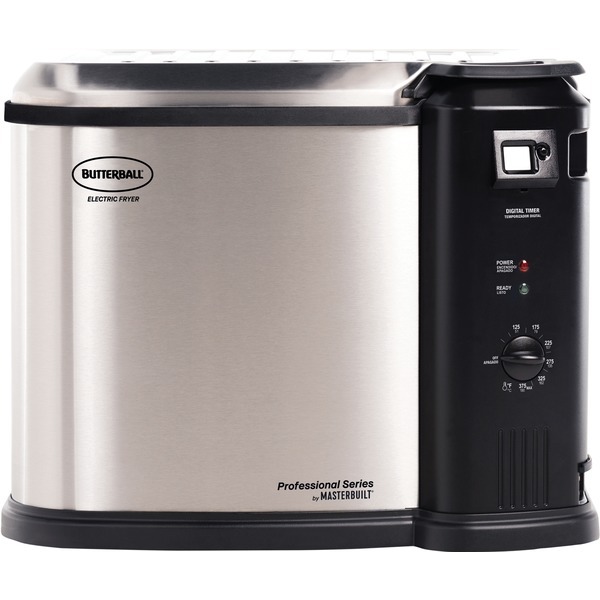 Really simple and convenient to use it has a nonstick surface a powerful 1200 watts and it cooks food 40% faster than other fryers. Save money on oil and butter no need to fire up your oven and it's healthier. This item cannot be shipped to APO/FPO addresses. Please accept our apologies. 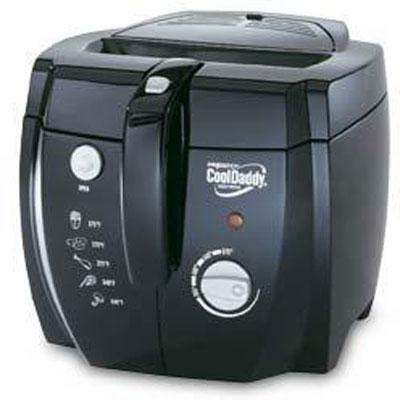 Cool Daddy Deep Fryer makes delicious deep fried foods fast and easy. Exterior handle lowers food into the oil with the cover closed to prevent spattering. Removable nonstick pot lifts out of base for quick easy cleaning. Big six serving capacity in a compact size. Perfect for chicken shrimp french fries and more. Adjustable thermostat for easy selection of the desired frying temperature. Fries with the cover closed to prevent spattering and reduce odors. High efficiency air filter absorbs frying odors. Replaces easily. Handy indicator light lets you know when oil is ready for frying. This item cannot be shipped to APO/FPO addresses. Please accept our apologies. 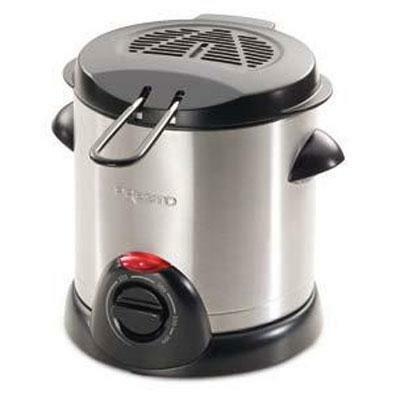 60 minute timer with auto shut off Adjustable thermostat Cord wrap Easy to clean basket and handle 2 pound food capacity Power and Indicator Lights User Manual with over 25 recipes Also functions for baking roasting and broiling Nonstick frying basket frying This item cannot be shipped to APO/FPO addresses. Please accept our apologies. 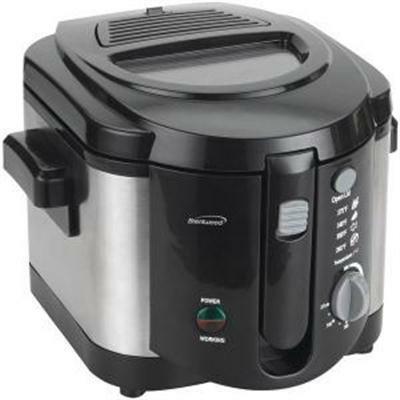 The Cool touch Deep Fryer creates delicious deep fried foods without the mess or hassle. 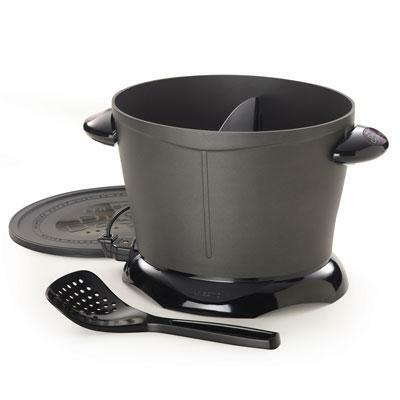 It has a stainless steel Frying & drip basket that lowers food into oil. 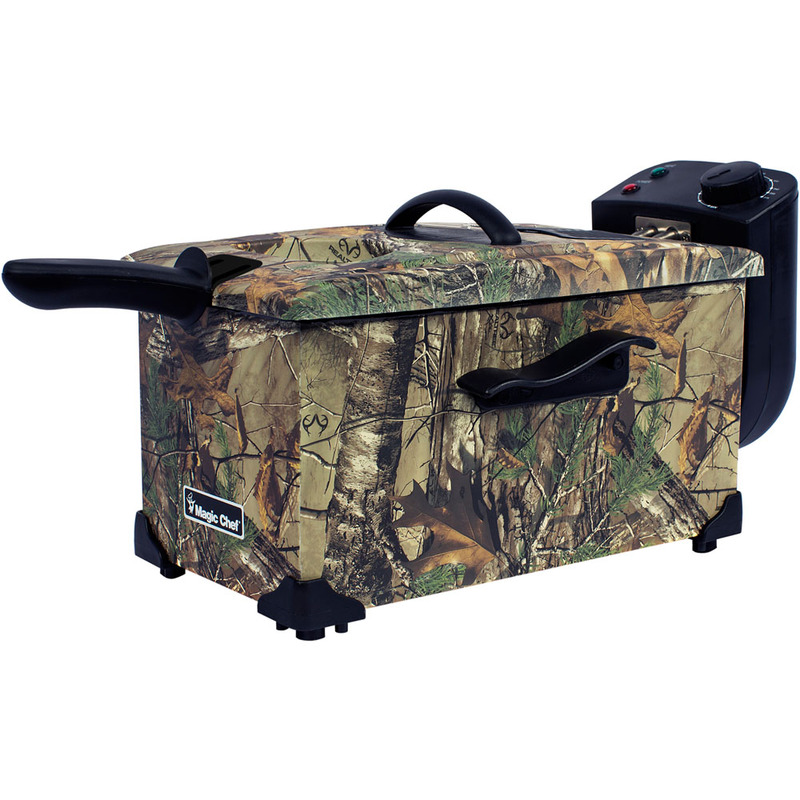 The Fryer includes a Removable Lid with a Carbon Odor Filter which prevents spattering. Non Stick Coating Adjustable Thermostat 1200 Watts Black and Stainless steel color This item cannot be shipped to APO/FPO addresses. Please accept our apologies. 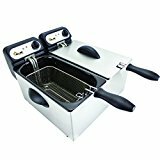 This Dual Basket ProFry deep fryer offers an elegant black stainless steel exterior with professional-style frying capacity and versatility. Dual baskets fry two foods at once or extra-large batches with a 12-cup food capacity. The 1800-watt immersion element provides quick preheating and fast oil temperature recovery. 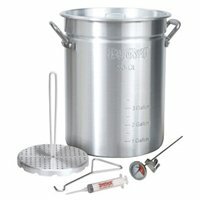 The heating element and enameled pot are removable for easy cleaning. BULLETS: 1.) 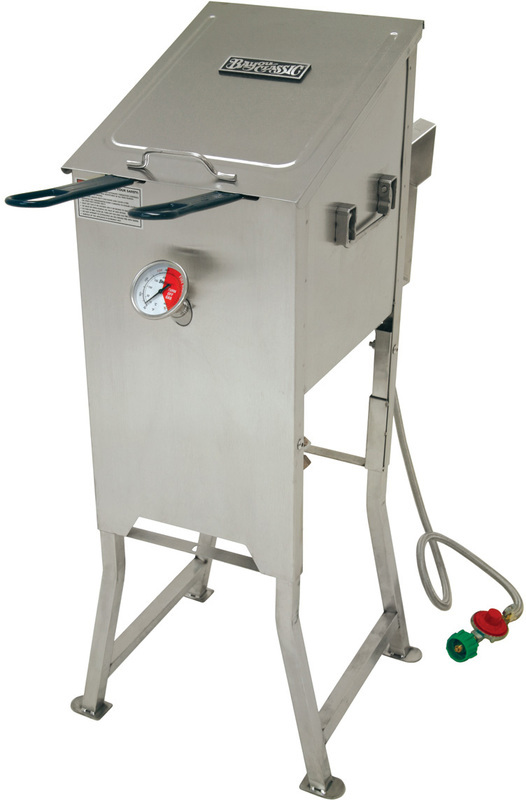 Professional-style ProFry deep fryer with dual baskets. 2.) Extra-large enameled pot and fry/steam basket. 3.) Signal light indicates when oil is ready for frying. 4.) Adjustable thermostat. This item cannot be shipped to APO/FPO addresses. Please accept our apologies.